First of all, the E.U.’s new Economic Partnership Agreement with Japan is an important milestone. Secondly, the Berlin government considers Japan a reliable and close partner in a world which seems to be becoming more difficult. The trade agreement entered into force on Friday, after it had been negotiated for several years. It removes trade barriers for European companies which export goods to Japan, and vice versa. So far, firms in the E.U. sell goods worth 58 billion Euro (66.4 billion U.S. Dollars or 50.8 billion GBP) to Japan every year. This number is expected to grow substantially. In the Union, high hopes are being connected to the agreement, also because it “helps us shape global trade rules in line with our high standards and shared values”, a statement from Brussels said. Besides, the Europeans believe the deal “sends a powerful signal that two of the world’s biggest economies reject protectionism”, meaning U.S. President Trump’s approach. From Berlin’s point of view, the Japanese are “companions in fate”, because of Trump and several other issues in the world. Angela Merkel wants to show she means business. Tokyo will welcome her with full honors. She will even be received by Emperor Akihito and Crown Price Naruhito. The German Chancellor will be accompanied by a large business delegation. But trade is not everything. Security policy questions will be another important subject on the agenda when Merkel meets her counterpart, Prime Minister Shinzō Abe. In Berlin, government sources told German-language media, Germany and Japan shared fundamental political convictions. The views on constitutionality, democracy, multilateralism and free trade are similar. Japan might be far away geographically, but not regarding their view on important aspects. Apart from dealing with Trump, and Tokyo’s interest in the upcoming Brexit and its implications, trouble in the Far East will be discussed. This includes China’s latest threats towards Taiwan. Both Europe and Japan want an easing of those tensions, something which might be very hard to achieve. As always, North Korea is a subject too. While in Tokyo, Merkel will visit a laboratory for artificial intelligence, owned by NEC. Also she will visit an economic conference. The only problem Merkel could be facing is her transport. 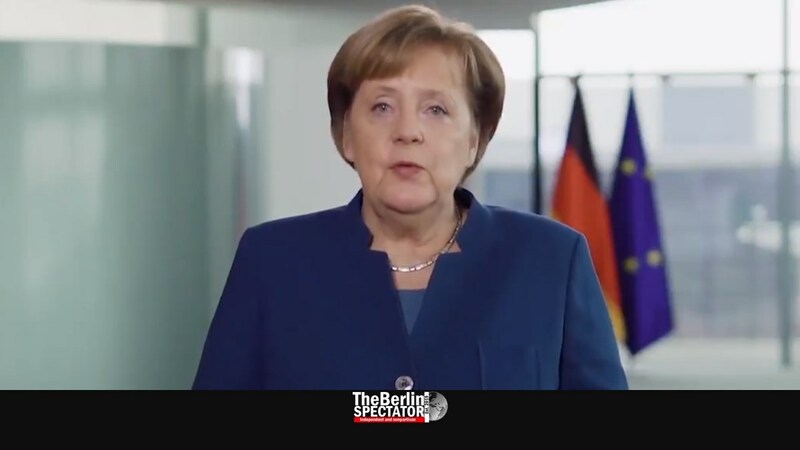 In the past months, several incidents involving Germany’s old government aircraft have slowed down Merkel, President Steinmeier and several ministers. The Chancellor and her entourage are travelling on the ‘Theodor Heuss‘, an Airbus A340. A substitute plane of this size is not available, since the ‘Konrad Adenauer‘ is being refurbished by Lufthansa Technik right now. Yet another technical glitch would not just be annoying, but also embarrassing.